An owner occupier purchased the two-storey shop and dwelling of 152sqm for $1.31 million, from a family that had owned the property for 35 years and had been using it for their photography studio. A local investor paid $3.93 million for the three adjoining shops, on separate titles covering 670sqm, with short-term leases to Eli’s Alterations, Stirling’s Curtains and catering business Beautiful Delicious. The 170sqm two-level building with four on-site car parks sold for $1.75 million, and is leased to Rosemount Kitchens until February 2021. The 373sqm property sold for $2.15 million with a short-term lease to an op shop, and has a permit for three shops on the site. A local investor paid $10.25 million to developer Melinda Cohen for the 1,827sqm Guardian Early Leaning childcare centre, which is on a 736sqm site. The property traded at a 4.2% yield. Another local investor acquired the Beginnings Early Learners childcare centre for $4.7 million. The facility is licenced for 130 places and returns $135,000pa. Healthcare fund Barwon Investment Partners picked up the medical centre of 1,520sqm for $8.2 million. Due to be completed this month, the centr is fully leased to Cornerstone Health. Games developer Tanatalus Media purchased the converted cordial factory warehouse of 446sqm, which it currently occupies, for around $3 million from the Ramsay family. Wolfstep Projects has completed the sell-off of 11 strata suites within the new commercial development. The offices range from 38sqm to 68sqm, and sold for a combined $2,670,500. NDIS provider Scope Australia leased the building’s last available space, and will pay around $275/sqm for the 436sqm suite. Promax Development and Construction Management leased the 148sqm space on level 14 for three years at $640/sqm. Property development and fund management group Maximise Group paid $4 million for the 6,277sqm site. The 1,361sqm office and warehouse facility within Logis Industrial Estate sold for $2.64 million, at a 5.3% yield, and with a new seven-year lease to DNA Print Solutions. A local owner occupier paid $2.1 million for the the 2,600sqm office and warehouse facility, which is on a 4,180sqm site. Gary Brill and John Ayres sold the 2,618sqm Fishermans Bend site, which is zoned Capital City (Schedule 4) and has a permit for a 36-storey, 298-apartment tower, for a reported figure of between $8 million and $9 million. A three-level Kew building is the latest asset to change hands in Melbourne’s surging suburban office market. Paul Burns of Fitzroys, in conjunction with Anthony Kelly of Kelly & Kelly, negotiated the $19 million off-market transaction of 79-83 High Street. On a 3,760 sqm site positioned just metres from Kew Junction, the 3,361 sqm building was constructed in 1993 and subdivided into 19 strata lots, with all sold in one line. It also has 112 undercover parking spaces. Zoned Commercial 1, the property is positioned within the Kew Junction Major Activity Centre and traded with a fully leased net income of around $1.1 million per annum. The property is currently 90% occupied with rent generated from 13 tenants across a range of industries. The new owner, a local investor, has proposed a refurbishment of the existing building and common areas, and potentially the addition of extra floor space. 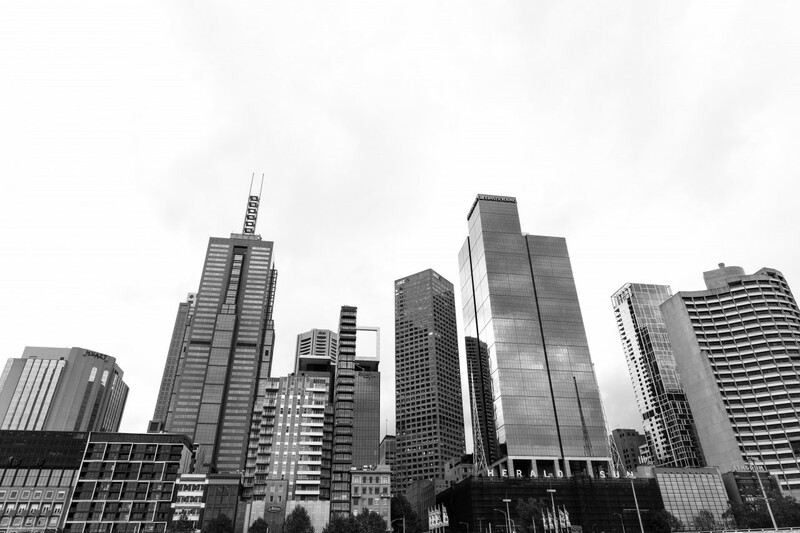 Suburban office market transactions across Melbourne again cracked the $1 billion mark in 2018. Paul Burns said Melbourne’s inner eastern and CBD fringe markets continue to attract the attention of local and offshore investors alike, as vacancy levels tighten and rents increase. “Melbourne’s inner east office market has been one of the strongest performers, as businesses look to capture a growing generation of workers who desire to live and work across the inner suburbs,” he said. Some 16,000 new dwellings are expected to be built in the surrounding suburbs by 2041, spurred by Melbourne’s nation-leading population growth. The building’s highly accessible location and proximity to retail, lifestyle and hospitality offerings were also a drawcard, and the building is just metres from busy Kew Junction and close to major freeways, multiple tram, bus and train routes, as well as the popular Glenferrie Road, Hawthorn retail and hospitality precinct. Domain is in talks with Bayley Stuart to take 2,000sqm within the Cremorne office development on the former Nuttelex factory site at 600 Church Street, according to The Age. The online real estate company would add to the city fringe pocket’s reputation as a tech-oriented hub, with Seek, REA Group, Carsales and MYOB already among its tenants. Hong Kong-listed developer Far East Consortium has paid around $90 million for the Eliza Tinsley building site at 640 Bourke Street in Melbourne’s CBD. The developer is expected to go ahead with existing approvals for a 68-level apartment tower with 813 units on the 2,735sqm property, which was one of three listed a year ago – each with residential project permits – by developer Besgate. Those included the 781sqm site at 140 King Street, which Harry Triguboff’s Meriton has just acquired for $29 million to develop its first Melbourne offering, a Meriton Suites apartment hotel. The three-level red brick Eliza Tinsley building was constructed at the beginning of the 20th century for the British-founded iron, chain and hardware merchants, and was also occupied by Lloyd Bros and leather merchants James Maginnis. More recently, it was owned by Australia Post which used it for storage. Besgate acquired the three sites in 2014. The façade of 640 Bourke Street would be retained under the current development plans. Also in the city, Boston-based AEW Capital Management has just purchased the 22-level office tower at 31 Queen Street for $200 million from Challenger, at a yield of circa 5%. Office vacancies in Melbourne’s CBD reportedly reached 3.7% over the quarter of this year, its lowest level since 1989.